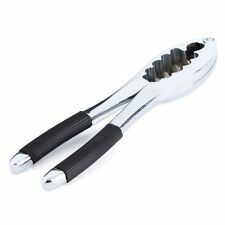 Master Class by Kitchen Craft Professional Stainless Steel Nut Cracker. Pecan nut cracker mounted on beautiful walnut wood base with antique bronze finish. Patent pending cutting edge designed solid walnut wood block works with the knives tastefully, every block is hand crafted and has its own unique grain. 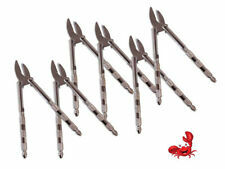 Set includes 2 lobster/crab crackers, 6.25/16cm and 6 stainless steel seafood forks/scoops, 7/18cm. Excellent for lobster and shellfish. 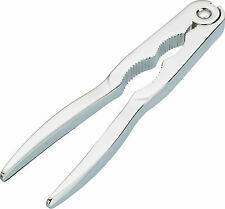 This claw cracker and pickers are essential for the seafood lover! Also ideal for picking and cracking all kinds of nuts. Their products are sustainable, safe and most products are made in Germany. Monopol has everything that makes life cozy and pleasant. From colorful, modern and classic, precious and practical - you will find exactly what you are looking for in Monopol products. This seafood set is a must have for any seafood love r. Essential seafood fork and pick set for eating crab legs, lobster tails, oysters, and more. This seafood tool set includes a lobster crackers and a lobster forks. Farberware Classic Nut Cracker Set. also perfect for cracking hard-shelled seafood. includes 2 picks. 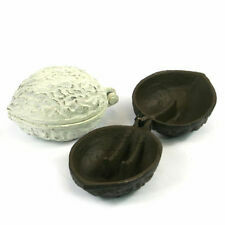 These beautifully textured tools are ideal for eating crab, lobster, shellfish and all types of nuts. Textured surface on both the spring-action cracker and the picks prevents the cracker and picks from slipping in your hands. Perfect for Seafood! Crack them and zip them open. Soft shell crab. Lobster claws. Lobster tails. Great for cracking, unzipping, and picking foods such as. This item is for one cracker only and excludes the bowl and nuts. Material: zinc alloy. You won't have to worry about using knives or other tools to crack nuts when you have this elegant nut cracker! Made of durable, heavy duty materials, this tool effortlessly cracks even the toughest nuts, making it easier for you to snack. Includes 4 picks to make removing nuts easier. Nut cracker measures 4.75in/12cm and each pick measures 4.5in/11.5cm. Hand washing recommended. Features a comfortable, soft grip handle. This multi-functional gadget easily cracks the toughest nuts and more! No flaws or defects. Discontinued and becoming hard to find. We have you covered. Our expert staff is here for you! 1,560 pecans per hour! Imagine being able to crack 1,560 pecans an hour?. That’s what you can do with the Electric Pecan Cracker. Introducing the fastest residential Electric Pecan Cracker on the market! The cast iron nutcracker is 5.5" L x 4" H. The wooden base is 7.5" x 2". Filbert Nut Cracker/Hazelnut Cracker. Yes, even Filbert nuts and Hazelnuts are no match for Drill Cracker. 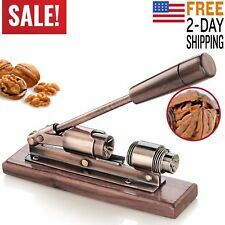 This automatic hard shell nutcracker is designed to crack black walnuts, hickory nuts, butternuts, and macadamia nuts at near industrial-type speeds. Eddingtons Red Squirrel Nutcracker. Red Squirrel Nutcracker. Easily cracks all nuts, simply place the nut in the squirrel's jaw and gently press down his tail. Three surfaces for cracking shells, from small nuts to large lobster claws. Solid zinc for premium durability. Dishwasher safe: Yes. This Crab Mallet from Nantuck Seafood is the perfect tool for shellfish lovers. Lightweight and durable. 7-3/4-Inch - handwash. The Fox Run Seafood Cracker is a must have for any seafood lover. Perfect to crack open lobster or crab legs at your next seafood feast. The red color with stainless interior will jazz up any table setting. 1,560 pecans per hour! Imagine being able to crack 1,560 pecans an hour?. That’s what you can do with the Electric Pecan Cracker. Introducing the fastest residential Electric Pecan Cracker on the market! A must-have for any seafood dinner, this 7 1/2" square head wooden mallet makes short work of your favorite shellfish. 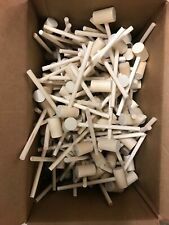 Our mallets are handmade in-house using Birch and Maple wood. The long handle on this mallet gives you a firm grip and lets you provide the strength and leverage needed to break through hard shells. One new carded -KIKKERLAND 2 IN 1 NUTCRACKER doubles as a bottle opener. Beautiful beech wood handles and aluminum nutcracker. Modern nutcracker. Provides satisfying crunch and easily breaks shell. 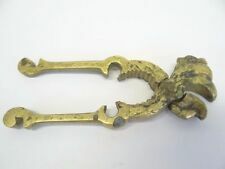 SHALOM Brass Nut Cracker. Made In Tamar Jerusalem Israel. SHALOM Brass Nut Cracker. Made In Tamar Jerusalem Israel. (No alternatives or exceptions). Ridged interior holds lobster and nuts securely while cracking. Doing that is against U.S. and international laws. Cracks walnuts, pecans, hazelnuts, almonds and more. 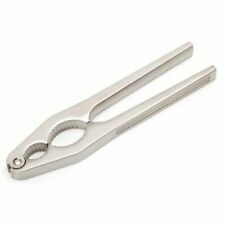 Enjoy a big pile of crabs or other seafood of your choosing while using your Cooking Concepts seafood fork. One end has a fork / dual barb. You get a set of four per order. I am sorry if this is an inconvenience, but I cannot make any exceptions. Also ideal for crab. Ridged interior holds lobster and nuts securely while cracking. 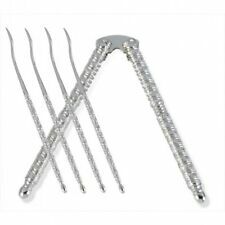 Set of 4 stainless steel seafood forks easily remove meat from shellfish. Spoon shaped end for scooping and tined end for picking. You'll find lots of uses for these slender seafood forks from Norpro. Not only are they terrific for retrieving lobster and crabmeat from the shell, they're also great for spearing olives and cherries in a jar. 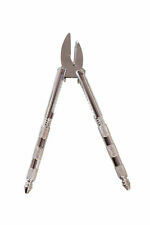 The picks are made from durable stainless steel and each pick measures 7 Inch long. Cast Iron Squirrel Nut Cracker, rustic brown finish. Great little cast iron squirrel nut cracker. Fun way to crack pecans and other light shell nuts. NOT FOR HEAVY SHELL NUTS. Stands 6" tall x 6" long. NOS Vtg. Texan Nut Sheller Nutcracker Fun! Neat! Easy! Fast! W/Instructions. Condition is New. Shipped with USPS Priority Mail. PPS PACKAGING COMPANY Evaporated Cooler Brass Compression Nut, 1/4-In., 4-Pk.